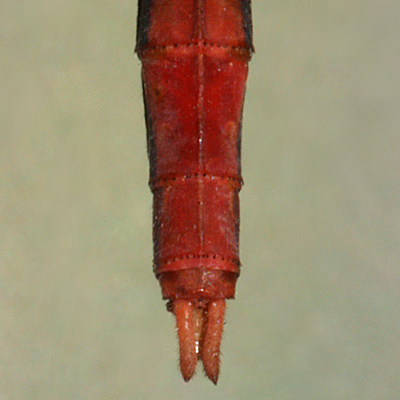 35 mm long. 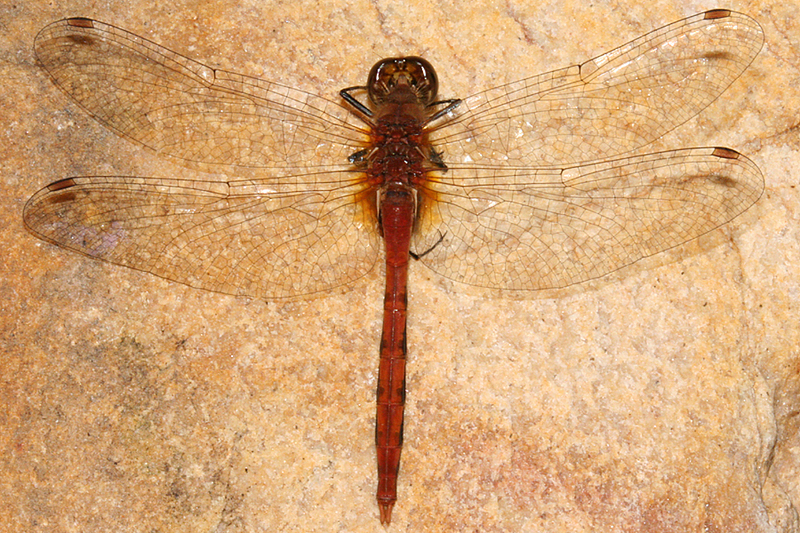 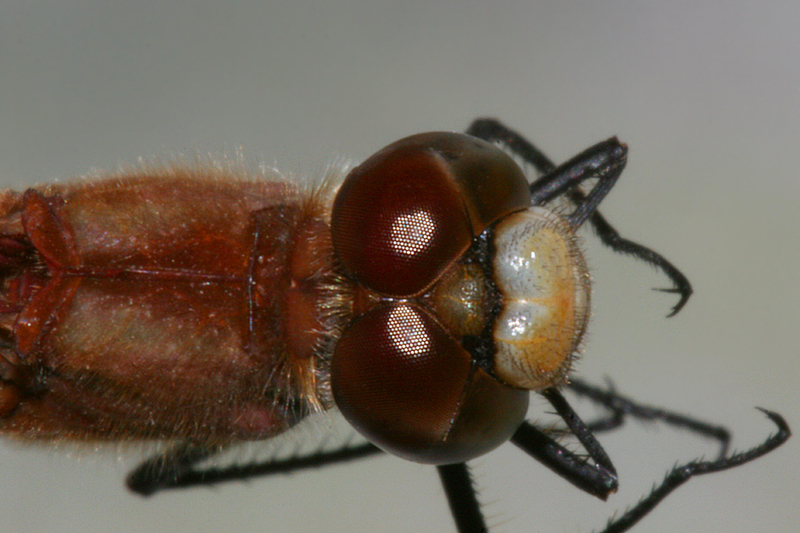 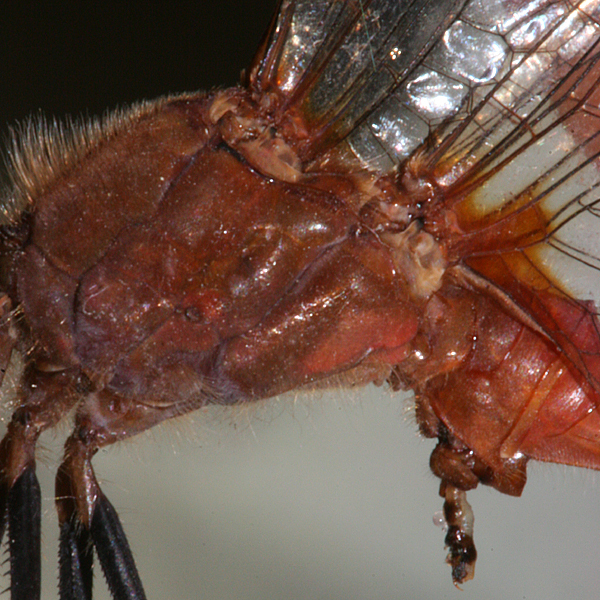 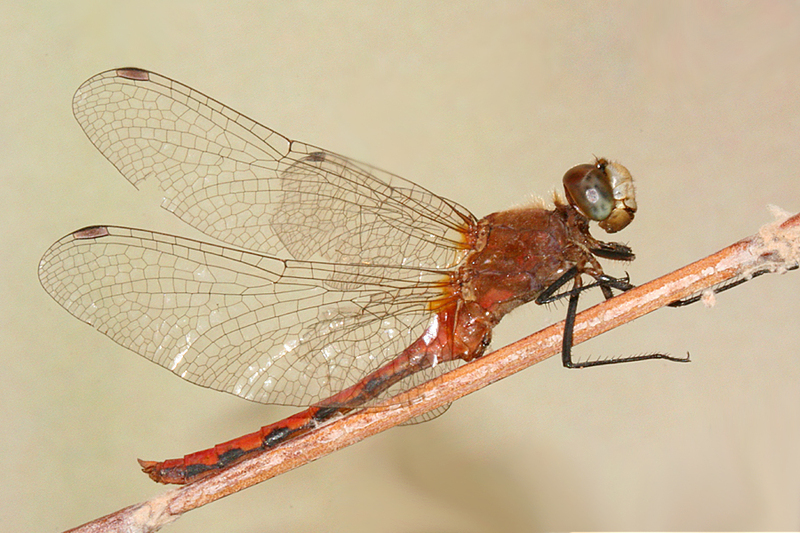 Male face is white, abdomen and thorax is red. 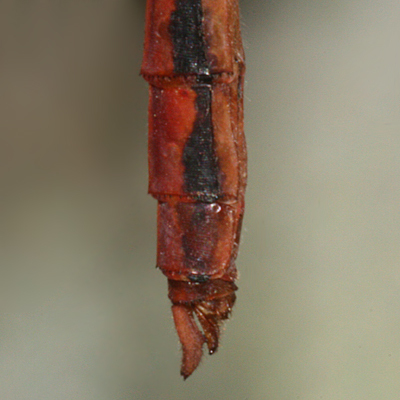 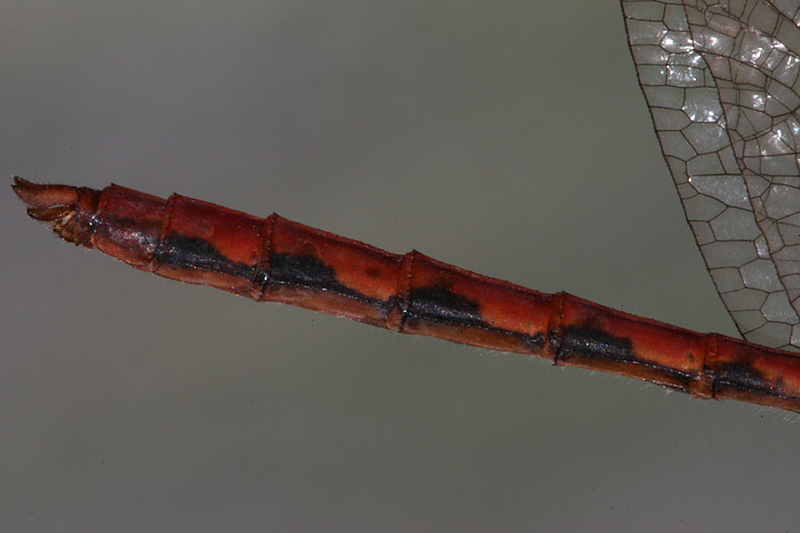 Thorax has no top strips or side stripes except in immatures. 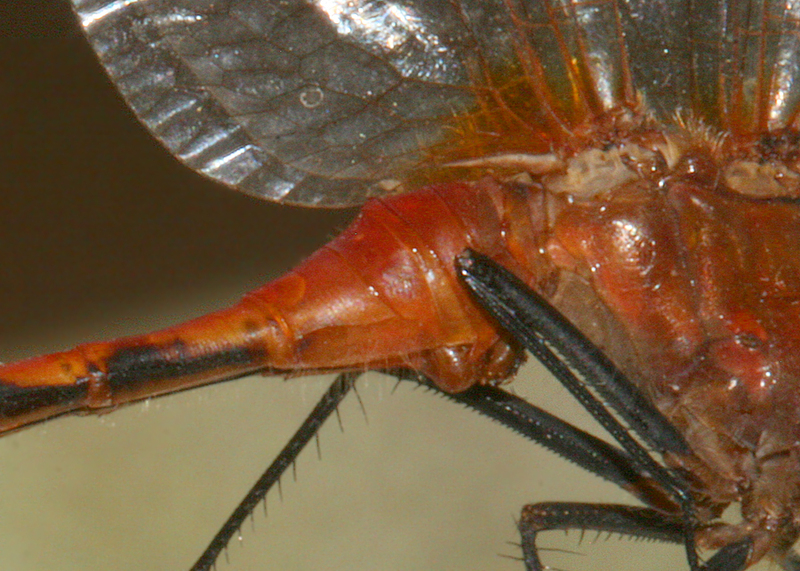 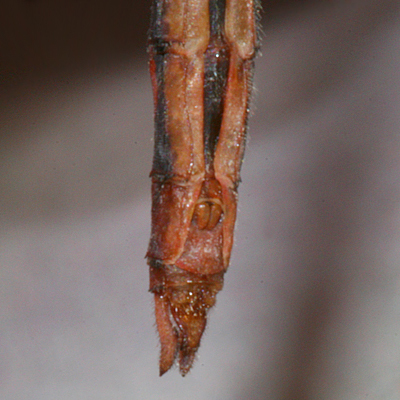 The abdomen has black triangles on the lower sides. 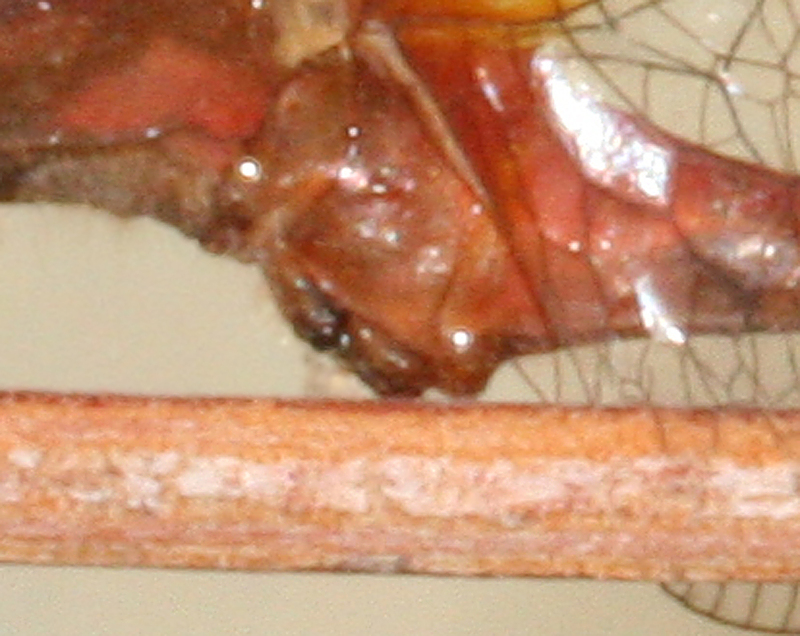 The wing veins are grayish black. 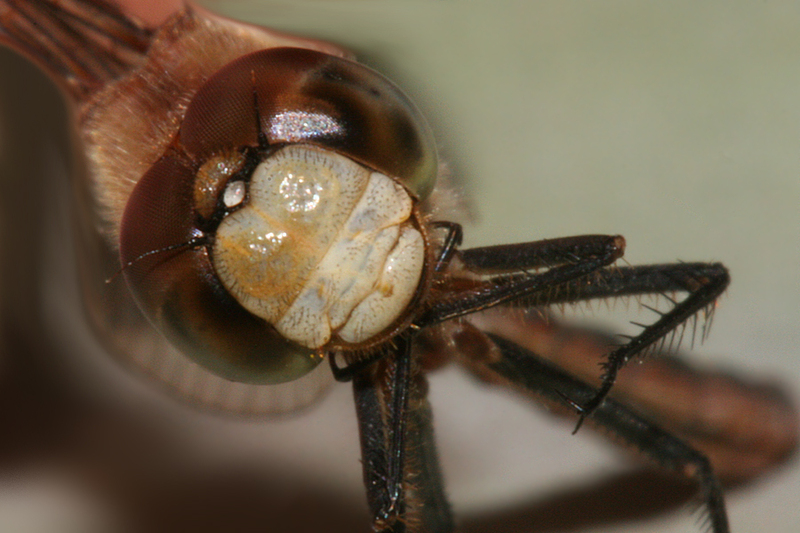 Female faces are greenish white and bodies are similar to males or golden colored.